HIST3510 – I wonder if I put a few words here? Grandma is the adult furthest to the right. Hello everyone. 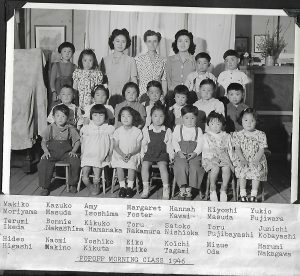 I’ve decided to use my e-portfolio to post a couple of reflections about my experience discussing my topic with my girlfriend’s Grandmother, who taught kindergarten during internment. I’ve also included a few photos that she was kind enough to lend me.